With adequate protection, steel is a material that allows the construction of durable structures, under the condition that they are kept up with timely and effective maintenance. Insufficient maintenance is the reason for the enormous amount of money that the city administration spends for the restoration and regeneration of steel bridges. 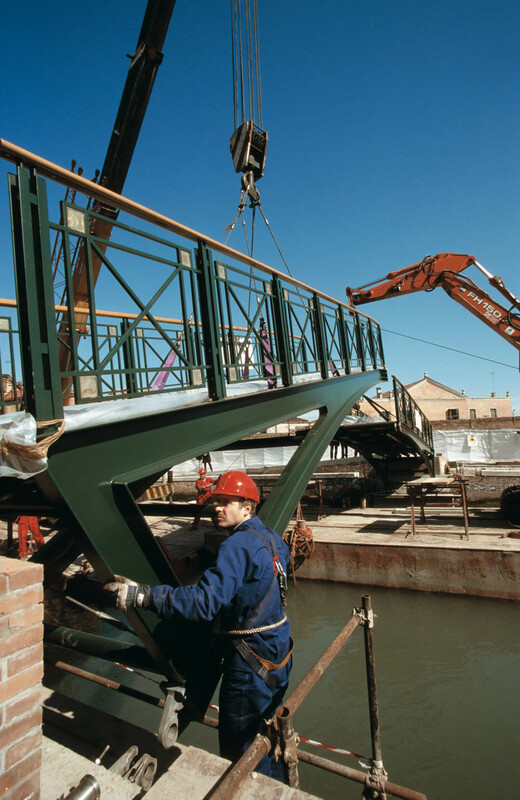 The cases of the Ponte Longo on the Giudecca and the Ponte Vivarini are emblematic. Currently, when there is adequate funding, structures are built out of stainless steel 216 or duplex steel (stainless steel has the best chemical-mechanical properties) to avoid dangerous corrosive phenomena. The initial cost is considerable, but there are practically no subsequent maintenance costs. Corten steel, an iron and copper alloy, offers good resistance to corrosion at a much lower cost than stainless steel. So far it has been used on very simple structures with promising results; unfortunately its use is hampered by the lack of a complete range of available sections on the market. The Ponte Longo on the Giudecca is an interesting example of a nineteenth-century steel bridge. Before it was restored, it was in an advanced condition of disrepair and needed thorough renovation. 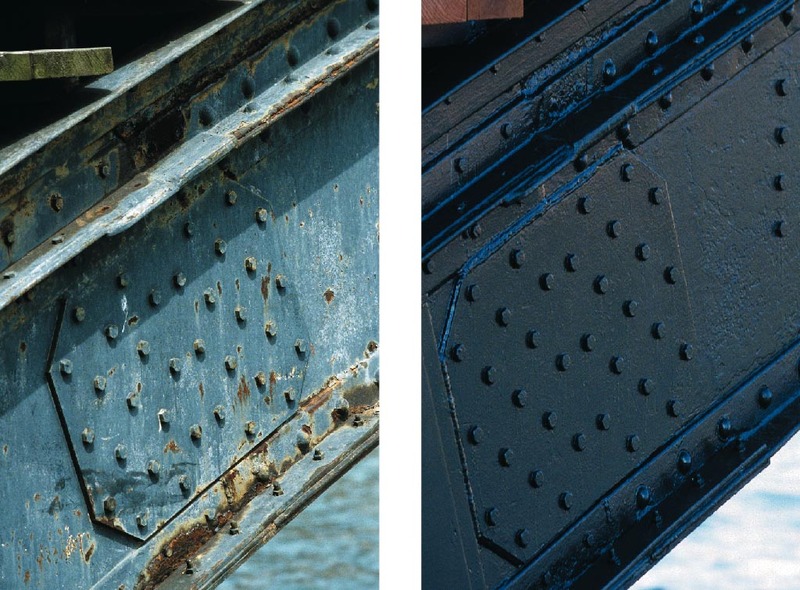 The restoration work required the bridge to be dismantled and sent to a more appropriate location for the processes it needed to undergo, which ranged from simple cleaning and sandblasting to the actual reconstruction of some of its structural elements. In some cases it required handcrafting techniques that have long been abandoned, such as using nails handcrafted by ironsmiths with red-hot rods and hammered directly into their holes. The bridge was also equipped with an advanced system of accessibility, with elevators for the disabled. The Ponte Longo on the island of the Giudecca.